As ever, dear readers, welcome. In our last, we had begun discussion of the use of watchmen/sentries in The Lord of the Rings. In our last, in fact, we had stopped with what is well-known to have been a strong influence—especially in The Hobbit—upon JRRT: Beowulf, and its two such figures. Here’s Beowulf with the first. What particularly interests us is that, often when such a figure—or figures—is encountered, it slows the action, but, interestingly, may cause further action at the same time: the protagonist can be challenged, questioned, or even forced to act—all part of what we call “no fiction without friction”—and we’ll see what this does for the characters now as we’re off on our journey through Middle-earth, beginning where The Lord of the Rings begins, in the Shire. It says, perhaps, something about the confidence of the Elves that, at Rivendell, there are neither sentries nor patrols—although perhaps the River Bruinen might be considered at least a defense, considering that it sweeps away the Nazgul when they try to cross. The combination of rock and snow forces the Fellowship to make what seems at the time a fatal decision: to go not south, but east, into the Mines of Moria, with the disappearance of Gandalf as the consequence. And, on that inspiring note, we’ll pause for this posting, saving the rest of the sentries, watchers, and patrols for Part 3. In the meantime, thanks, as always, for reading. Welcome, dear readers, as always. Ever since we heard the story of “Ali Baba and the Forty Thieves” in childhood, we’ve been interested in doors and passwords. Near the story’s beginning, Ali Baba, a poor woodcutter, happens to observe a group of bandits returning to their cave from a raid. As he watches, the head of the bandits uses a secret phrase, “Open, sesame!” which opens the cave’s secret door. Since then, we believe that we’ve had three major examples of the pattern: door as barrier passed with difficulty. The first was on a very different level altogether from “Ali Baba”. After the US passed a law against alcohol just after the Great War, the tumultuous era called Prohibition began. For all that the legislatures of various states approved it (“ratified” is the formal word), there were many who did not approve of it. Because it was national law, however, police everywhere were required to enforce it. To get around the law, secret bars began to appear. These received the nickname “speakeasy” because it was a place to relax and drink in (what was hoped would be) safety and privacy. Such places were made anonymous as possible: a blank door—with a peephole. To get in, a potential drinker had to be known—or know the secret password. This went on until 1933, when the new president, Franklin Delano Roosevelt, worked to have the law repealed. included a speakeasy scene in their latest film, Horse Feathers. This is an almost indescribable scene in which one of the Marx Brothers (Chico—said “CHIK-o”) is on the inside and another (Groucho) is on the outside and then the fun begins—here’s a LINK so you can watch it for yourself. Our next example had no secret password, but, instead, it had a door guard and a very silly one, too! based upon L. Frank Baum’s 1900 The Wonderful Wizard of Oz. We doubt that we have to explain the plot to anyone who would read our blog, so we’ll just remind you of the moment when Dorothy and her friends—Scarecrow, Tin Woodsman, Lion—and Toto, too—have reached the Emerald City and have come to the door of the Wizard. The guard (who bears a suspicious resemblance to certain other characters in the film) at first refuses them entry, saying the now-famous line that the Wizard won’t see: “Not nobody! Not nohow!” but eventually crumbles when Dorothy explains her quest and he begins to sympathize with her, finally allowing her and her friends to enter—although what they learn there is not the best news. Finally, there is this door. And, with this door, we are back to “Ali Baba”, it seems (if not to Horse Feathers). When Gandalf and the Fellowship arrive, however, there appears to be no door there at all, just a pair of immense holly trees (probably English holly, ilex aquifolium), overshadowing a blank wall. And trying to make sense of what it means now turns into a very awkward scene in which Gandalf struggles to find the password he believes is requested in that inscription, while the rest of the company gradually becomes more and more impatient (and it doesn’t help that wolves begin to howl in the distance and that there is something about a pool standing opposite the gate which makes them increasingly uneasy). Finally, Gandalf realizes that what has stopped him depends upon his understanding of a single word in Elvish, a word which clearly has two meanings—and a little more punctuation might have helped! As Gandalf originally translated this, it was “Speak, friend, and enter.” After a good deal of frustration, Gandalf realizes that he has not only mistranslated—slightly—but mispunctuated—or, rather, overpunctuated– as well. “Speak” and “say” in English are closely related, but there is a difference—for instance, one can “speak English”, but, idiomatically, one would never “say English”. Thus, no one would ever give the command to someone else, “Say English”, but, rather would say to someone “Speak English”. The same must be true in Elvish, where, in fact, it appears that “speak/say” is potentially one verb, whose singular imperative (command) is pedo. At first, Gandalf thought that he was being directed to “speak”—but what he was being told to speak he thought was somehow lost or forgotten. This caused him to overpunctuate: “Speak, friend, and enter”, where what he was actually being told was “Say [the word] ‘friend’ and enter”. He finally does so, and the gates open. appeared, slightly mistitled Twenty Thousand Leagues Under the Sea. Like the title, the rest of the book was filled with mistranslations (it should be Seas) and big cuts. We hope, in fact, that, if Tolkien read the book (and we would be surprised if he hadn’t, it being the typical Victorian “boys’ adventure tale” of the period), we hope that he read the 1892 version, which cleaned up the errors. If you haven’t read it, it’s the story of a French scientist who is invited by the US government to investigate a sea monster who is attacking world shipping in the later 1860s. As the professor discovers, this isn’t a monster at all, but an early submarine, the Nautilus, invented and piloted by a man who calls himself “Captain Nemo” (nemo being Latin for “no one”) and who has a grudge against the imperialist nations of the world, against which he uses his submarine. The professor, his assistant, and a third man, a harpooner, Ned Land, are taken aboard the Nautilus and, at one point, are involved in a combat against a pack of giant squid—each with 8 arms and two longer tentacles, one of which almost drags Nemo to his death until he’s saved by Ned. Sounds a little familiar, doesn’t it? Our favorite version of the story is that done by Disney in 1954. There is only one squid here, but, as the poster shows, that seems plenty! It’s a well-told version (simplified, but not too much so) and has a really splendid Nautilus in a high-Victorian design (steampunk long before steampunk?). Thanks, as ever, for reading. Welcome, dear readers, to the third part of our series on doors and entryways in JRRT’s The Hobbit and The Lord of the Rings. It made us want to look at doors (to which we quickly added entryways of all sorts) in Tolkien and, in doing so, we’ve come up with a very crude classification system, in which there were two kinds of doors, those which seemed to promise safety and those through which you might be in danger. And a major component of such places seems to be a challenge, and a challenger of some sort. At the end of our second posting, we had come to the breaking up of the Fellowship and now we want to continue, having a look at what could be seen as good examples of what we mean along the way. Because of the major split in the story, we decided to follow Aragorn, Gimli, and Legolas first. 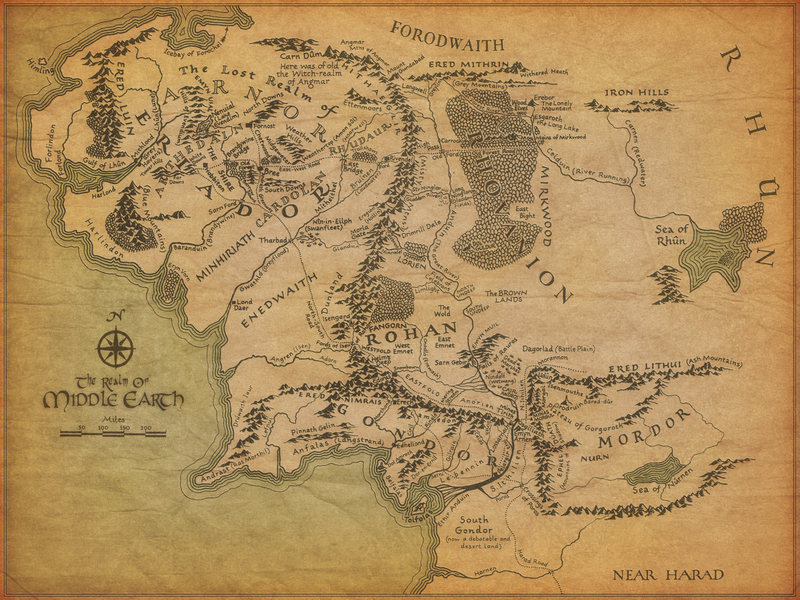 The first part of their adventure takes place across open country or in Fangorn Forest. It’s only when they, with Gandalf, arrive at Edoras that we see the pattern fall into place. After a little parleying in this manner, Gandalf and his companions are allowed to enter and sent up to Meduseld, where there is a second challenger, the Doorward Hama. Here, after a brief repetition of the previous language challenge, things relax: “Then one of the guards stepped forward and spoke in the Common Speech.” After a tussle about leaving weapons behind (and Gandalf escapes this with his staff), they are permitted into the hall and the scene continues. It’s Merry and Pippin, of course, who describe themselves as “doorwardens”, just as Hama was at Meduseld. The difference is, instead of barring the door and challenging those who would enter, they are welcoming and comical in their lordly self-indulgence. This seems to turn the pattern on its head, and, although it’s the only time such a thing appears, we believe that it is an example of another subcategory, that of parody. It has the elements of other occasions, but, here, the door is a ruin and the guards seem slightly tipsy, rather than menacing, as well as very glad to see those who come to their ward. In contrast to this merriness, there is stony silence at the next door: The Paths of the Dead. We can see in this multiple ends: first, it fits the pattern of confrontations at doors (all feel the sense of Something There and must rise to the challenge, conquering their fear); second, it provides a route for Aragorn’s strategy: to gain supernatural allies on the way to natural ones along the southern seacoast; third, it underlines Aragorn’s right to the kingship: only he has the knowledge and authority to call up the long-dead for his purposes. But—then? We admit it—we shamelessly want a cliffhanger here. And so we’ll stop—till our next, in which we’ll finish the story—we promise!—and provide a breakdown of all of the doors and entryways in a chart, as well. Thanks, as always, for reading—and we’re sorry that we gave in to temptation, but, as novelists ourselves, we couldn’t resist! Welcome, dear reader, as always. It’s a rather gloomy late autumn day here as we write this, fitting, perhaps, for the gloomier The Lord of the Rings after the cheerier (well, sometimes) The Hobbit, as we continue our look at the functions of doors and their equivalents in JRRT. If you’ve read our previous posting, you’ll know that, in it, we examined doors and gates in The Hobbit, dividing them into two basic categories: doors which might lead to safety and doors which led to danger, all based upon Bilbo’s remark about how dangerous it can be, just stepping outside your door. Bilbo’s door adventures had begun with his own. When comparing the two books, we get a strong sense of the episodic nature of The Hobbit: we can almost break it down into movement between doors, from the arrival of the dwarves to the knock of Gandalf and Balin, giving it more the feel of a picaresque novel: that is, a novel with an goal, but with much of its focus upon the adventures along the way, adventures which don’t always necessarily lead to that goal. This gives it a lighter tone, as well—after all, it was meant as a children’s book in a time (1937) when such books were understood in general never to be too solemn. The Lord of the Rings, in contrast, develops an almost grimly-focused forward motion, which impels it even when the Fellowship breaks into two after the death of Boromir, and much of the action spreads from Frodo and Sam on the way to Mordor to the separate adventures of Merry and Pippin in Rohan and Gondor. The watchman, when his challenges (and maybe a little too-inquisitive challenges) are turned aside, lets them in and they reach The Prancing Pony, only to escape murder in their beds and the loss of their ponies. The first gateway which leads to real safety, however, isn’t a door or gate at all, but a natural barrier (with some magical help): the Ford of Bruinen. Here, the role of traveler and challenger is reversed, as the challenged are the Wraiths and the challenger is Frodo, but it is the power of the Elves which closes the door. (It is interesting here that Tolkien has chosen not to take advantage of the folk belief—if you know “The Legend of Sleepy Hollow” by Washington Irving, or its inspiration, the poet Robert Burn’s “Tam O’Shanter”, this will be readily familiar to you—that evil spirits are unable to cross running water, even at a bridge. From Rivendell, the next such door is that at the western side of Moria. This is a theme throughout The Lord of the Rings and one which, we believe, adds to its power: the events of the close of the Third Age are set against a background of other times and other events and the landscape still bears traces of those times, from the Barrows to the Greenway and Weathertop and far beyond. As well, so many of those traces suggest that violence and the dark spirit of Sauron, sometimes through his agents, sometimes in person, have had much to do with their end. Now that the Fellowship is within Moria, it encounters its next door: that of the Chamber of Mazarbul. Here, they are the challengers, when forced to defend themselves from a horde of “Orcs, very many of them…And some are large and evil: black Uruks of Mordor.” (The Fellowship of the Ring, Book 2, Chapter 5, “The Bridge of Khazad-Dum”). There is a second door, however, and, when they have beaten back their attackers, they escape by it—but only so that Gandalf may be the challenger at a crossing—as Frodo was at the ford—at the Bridge of Khazad-Dum, although here magic apparently cannot save him, as it had Frodo. “…and suddenly before them the Great Gates opened, an arch of blazing light. At this moment in The Hobbit, Bilbo had used his newly-discovered ring to escape (albeit with the loss of a few buttons), but Aragorn’s sword clearly does just as well. And the pattern continues, even as the Fellowship breaks up, but let’s take a moment to see what we’ve found so far. On the side of doors to safety, we have: Bree (although it’s not so safe as it looks), the Ford of Bruinen, the main door of Moria, and the entrance to Lorien. As for doors to danger, there are: the western doors of Moria and the door to the Chamber of Mazarbul. In the third installment, we shall see just how many more doors/gates/entryways we find which continue to fit the pattern—and there are a fair number of them. It Will Have To Be Paid For! 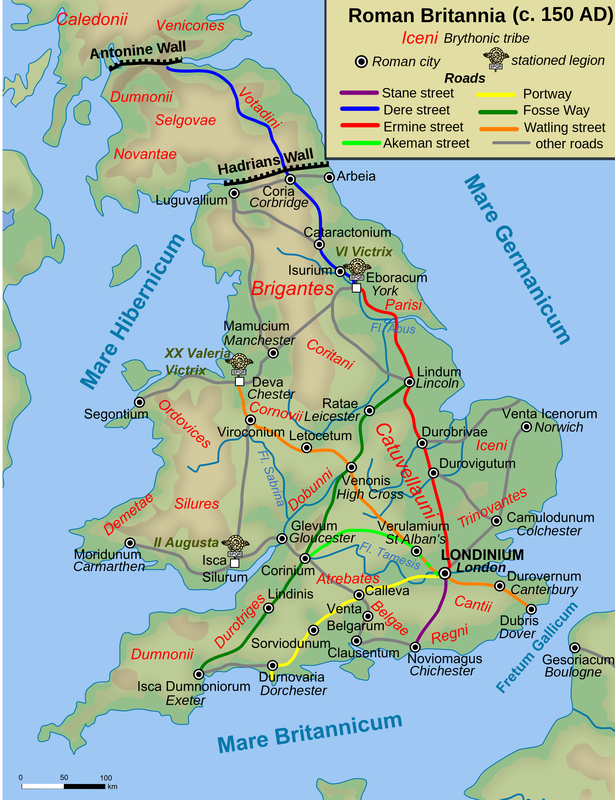 We recently wrote about Saruman and his pipeweed trade along the North-South and Great East Roads, and concluded that those roads reminded us of Roman Roads. 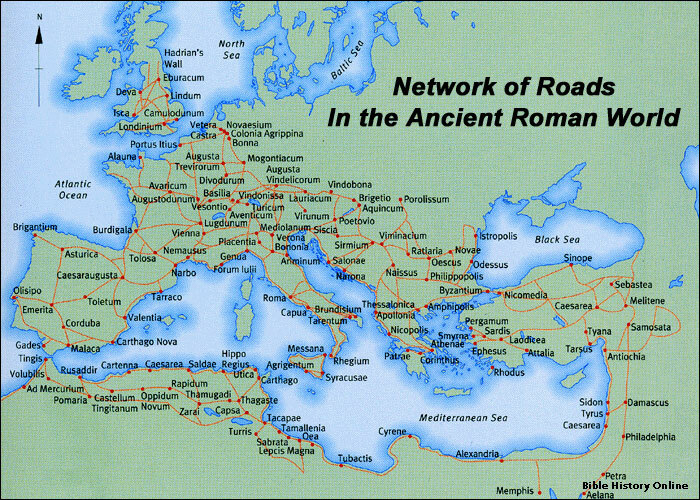 Looking at road networks from both Rome and Middle-earth, we see both as just that, networks, lines of communication which travel to and from central points. 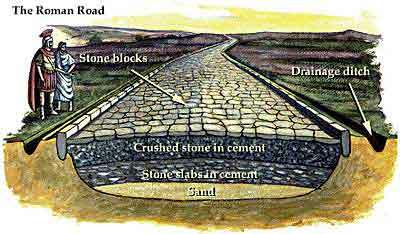 The roads of Middle-earth don’t appear to be so elaborately constructed and paved, of course, but then, at least for many centuries before The Lord of the Rings, there had been no central authority to maintain the system. 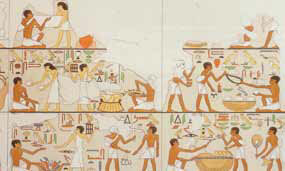 gives us a similar image. But there’s still something missing—Saruman has roads and connections, but how would he have paid for the pipeweed? He could have used a barter system, although that would mean understanding what it would be that he might use—raw material from the mountains? Some sort of manufactured goods made at Isengard? 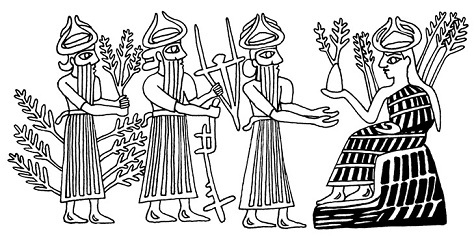 This could certainly be so, if we’re thinking of Middle-earth as a place set in pre-currency times, such as the Sumerians and the Egyptians, who managed their extensive trade just fine without a single coin. And we could just leave it at that, but then there’s a clue in the first chapter of The Fellowship of the Ring which suggests that the actual commercial system is based upon currency. “I am not incapable or unaware of economic thought; and I think as far as the ‘mortals’ go, Men, Hobbits, and Dwarfs, that the situations are so devised that economic likelihood is there and can be worked out…” LT, L.154 P.196. Thus, although he was clearly aware of such economic transactions, he didn’t need them for a plot and Merry and Pippin’s food and drink–and smoke–are simply there–with the implication that Saruman’s reach is longer than anyone has assumed. In fact, there are very few scenes where money is needed at all—the Prancing Pony is the only inn they come across on the road, and the Fellowship otherwise camps out until they are taken in at Lorien, Edoras, and Gondor, and a guest/host relationship becomes a major part of the story. We’ve actually even seen this sort of thing near the very beginning of the story, when Frodo becomes Elf-friend to Gildor, and is awarded provisions (and a hearty breakfast) for their journey. We have only a little knowledge of the commercial world of Middle Earth, as you can see, and no description of “pennies”, except that some are silver. What might they have looked like? 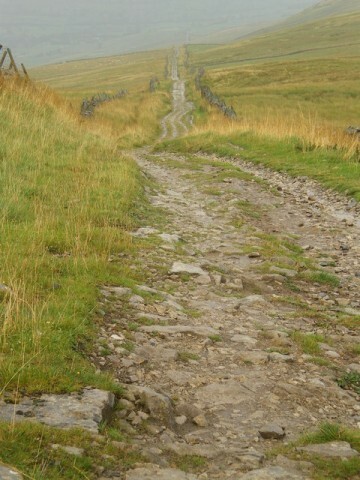 In our earlier essays, we’ve used parallels from the history of our earth, just as JRRT might used road systems which could easily have been influenced by the Roman roads which once connected so much of Britain, to build the roads in Middle-earth. 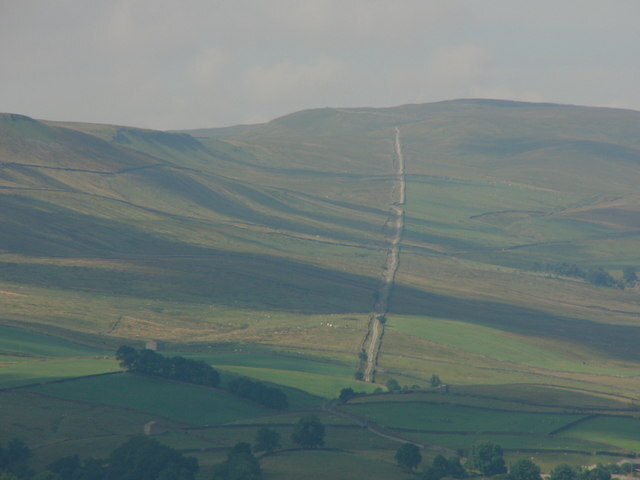 Some of those Roman roads, even in his time, were still visible–some even still used (although usually paved over). Using our parallel method, we turn to Roman coinage. 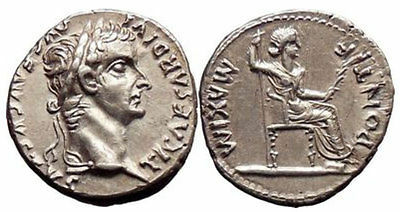 In Rome, silver coinage was introduced in 269 BC, courtesy of the Greeks, after the Romans had been using bronze. 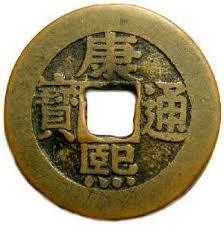 Coins originated in Asia Minor in the 6th c. BC and quickly caught on, being a convenient and highly portable way of transporting wealth—it was much easier to carry and design to designate between currencies, and the Chinese even began to manufacture coins which could be strung together. In Middle-earth, this would make it easier to trade beyond the borders of a local market, or even the Shire–and would certainly have been accepted at The Prancing Pony. 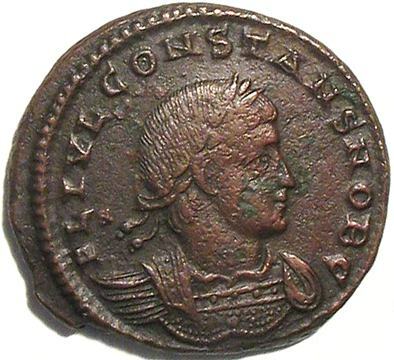 Visually, they remind us–and they were certainly intended to–of imperial coins, with their images of Roman emperors. 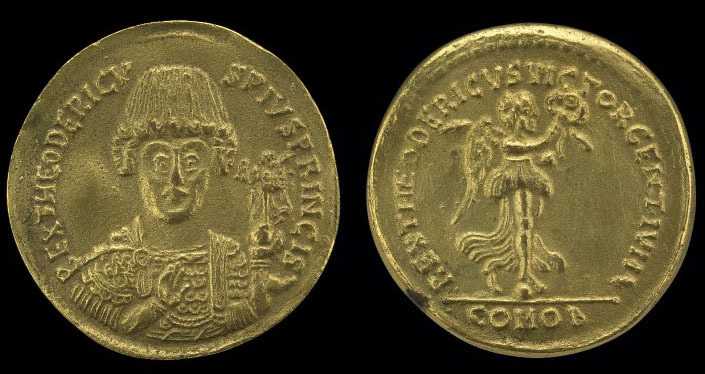 Theodoric, even with his unusual hairstyle, meant to be seen as a new ruler for an old Rome. Can we imagine dwarf coins, perhaps issued from the Moria mint? And, when we remember that Mordor has tried to acquire horses from Rohan, what would Mordorian currency have looked like? And, returning to Saruman for a final time—if he paid for pipeweed in coins, did they bear a white hand?